Restore Repair Revitalize Your Hair In Only 3 Minutes!!! 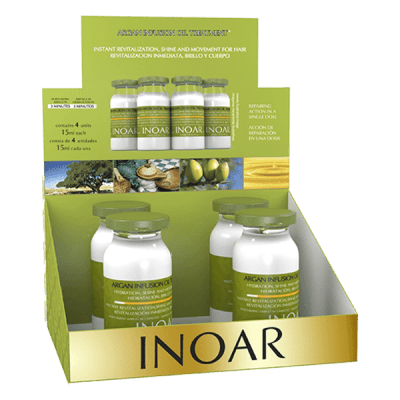 With INOAR shock treatments you can have beautiful healthy hair in 3 minutes time!! 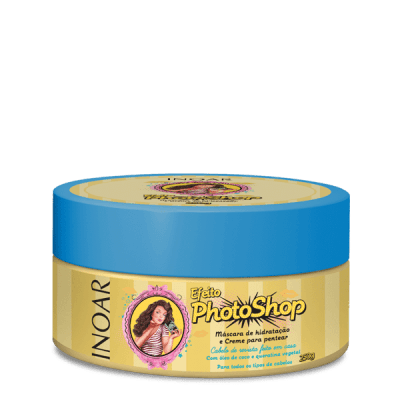 Best for damaged hair, and hair that needs softness and shine.  Type of hair: All types of hair – Especially for Hair that need instant treatment or just a boost. Done at the basin. High-performance hydrating finisher. The action of the synergic complex of the Cornstarch and the Beet Extract, along with the exclusive Daymoist CLRTM, restores the hair protecting the integrity of the Alfha Helix in charge of the keratin mainte­nance. It increases hair elasticity, preserves colour and shine, protects from discolouring and prepares the hair for high-temperature treatments. 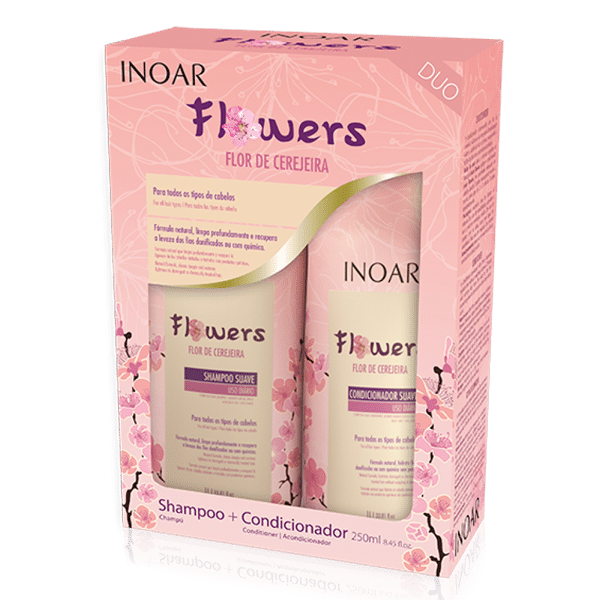 Mask developed with flower extracts and an exclusive formula with an ultra-hydrating Daymoist CLRTM for intense conditioning and glow, recovery of hair elasticity, easy combing, and protection of hair damaged by the heat, as well as from discolouring. INSTANT SHINE AND RESTORATION. For intense conditioning and shine. Recover damaged hair and hair elasticity. Ultimate SHINE! Protects from discolouring and prepares the hair for high temperature treatments. Type of Hair: Damaged, Dull and dehydrated hair. Daymoist mask is developed with flower extracts and an exclusive formula with an ultra-hydrating Daymoist CLRTM for intense conditioning and shine, recovery of hair elasticity, easy combing, and protection of hair damaged by the heat, as well as from discolouring. INSTANT SHINE AND RESTORATION. Directions: Wash hair with Absolut Daymoist shampoo. Rinse. Towel dry hair and apply the Daymoist conditioner or mask. Leave for 5 – 10 minutes and rinse. For intense conditioning and shine. Recover damaged hair and hair elasticity. Ultimate SHINE. Daymoist mask is developed with flower extracts and an exclusive formula with an ultra-hydrating Daymoist CLRTM for intense conditioning and shine, recovery of hair elasticity, easy combing and protection of hair damaged by the heat, as well as from discolouring. INSTANT SHINE AND RESTORATION. 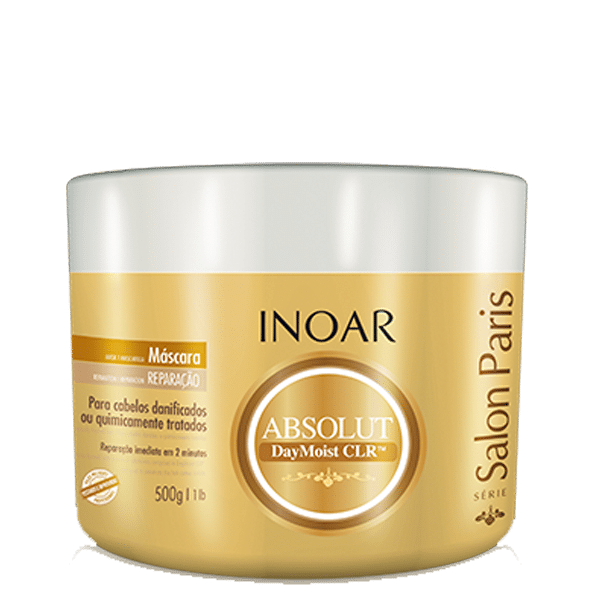 INOAR Absolut Daymoist mask is developed with flower extracts and an exclusive formula with an ultra-hydrating Daymoist CLRTM for intense conditioning and shine, recovery of hair elasticity, easy combing, and protection of hair damaged by the heat, as well as from discolouring. INSTANT SHINE AND RESTORATION. High-performance hydrating finisher. The action of the synergic complex of the Cornstarch and the Beet Extract, along with the exclusive Daymoist CLRTM, restores the hair protecting the integrity of the Alfha Helix in charge of the keratin maintenance. 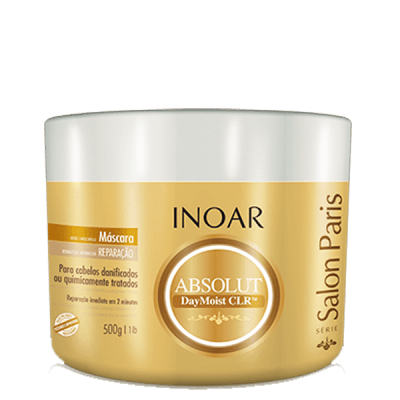 It increases hair elasticity, preserves colour and shine, protects from discolouring and prepares the hair for high-temperature treatments. The Ultra-Hydrating Finisher For Intense Conditioning and Shine. 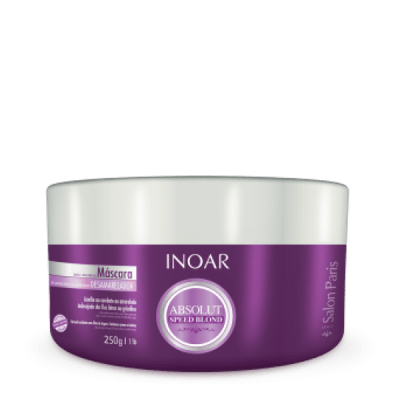 Recover damaged hair and hair elasticity. Ultimate SHINE. Protects from discolouring and prepares the hair for high-temperature treatments. 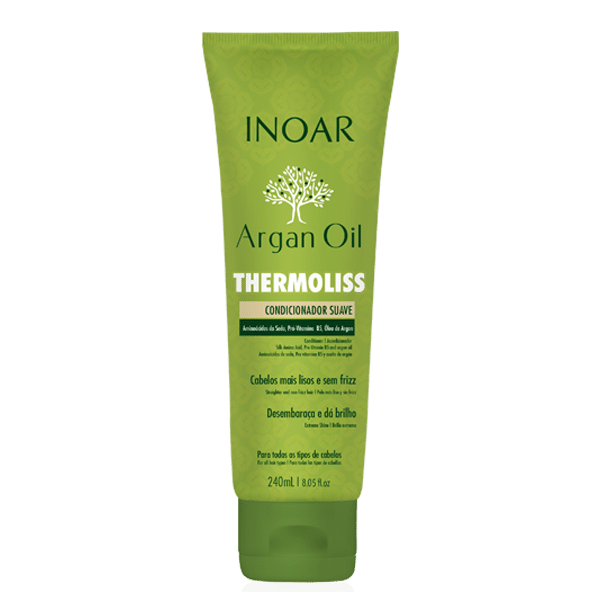 Smooth Sleek Frizz Free Hair Days With INOAR Argan Oil Thermoliss Range! Don’t have time to blow dry your hair in the morning?? OR to have an amazingly smooth, healthy, shiny look without FRIZZ? Have FRIZZ FREE days with the ultimate “Smooth operator” Range! Have beautiful soft and sleek hair in SECONDS! Besides crunching the time of styling your hair beautifully, it also protects the hair from the Heat of the dryer or iron. 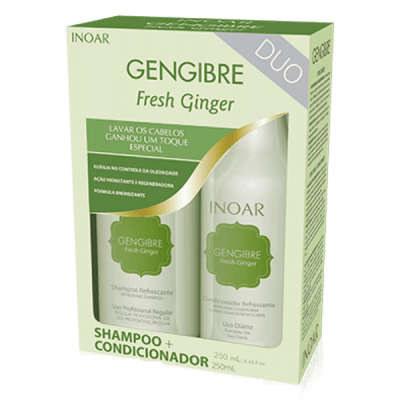 No more damage to your hair! 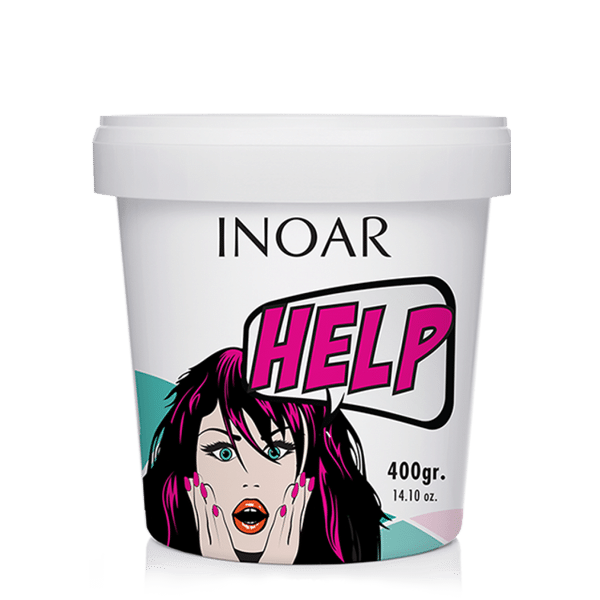 Thanks to its end-reactive action, the Thermoliss creates a protective layer around the cuticles while locking in moisture right away and eliminating frizz at the same time. The more you use it – the smoother the hair will get. Get your Thermoliss Range today!! And say BYE BYE to Frizz!! 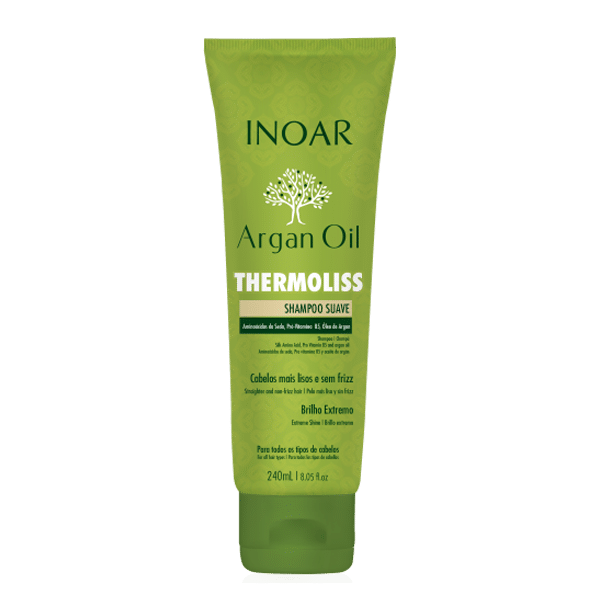 Ideal for frizzy, wavy or unmanageable hair, the NEW chemical-free Thermoliss Shampoo, Conditioner and De-Frizzing Balm are uniquely formulated with amino acids, pro-vitamin B5 and Argan Oil to enhance shine, detangle, moisturize and protect hair from heat styling for longer-lasting blowouts. Each lightweight formula is rich in Argan Oil to hydrate, deep condition and restores strands back to their original healthy state without weighing hair down. The Thermoliss Line Has Special Chemical-Free Ingredients That Work To Make Hair Increasingly Straight. 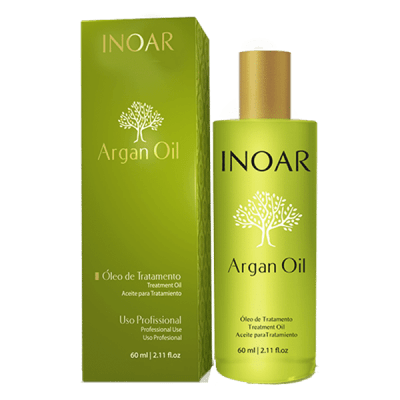 With Inoar’s Argan Oil, known for its anti-frizz effect, frequent use guarantees hair with intense shine and progressive and visible results. Argan oil Thermoliss Defrizz balm styling aid – Best heat protector; de-frizzer and ultimate shine. Won Golden Glamour award 2016. Type of Hair: curly, unruly, or frizzy hair. 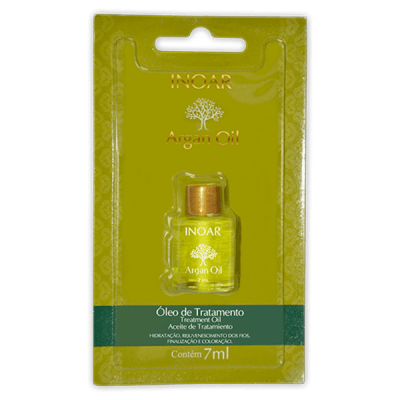 The Price For Inoar Argan Infusion Oil Is Priced Per Ampoule And Not Like It Is Displayed In The Image. 3 minute shock treatments for instant results. 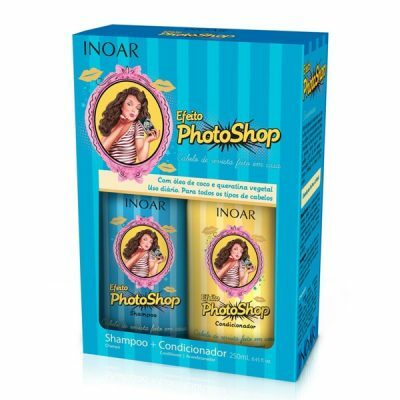 Directions: Wash hair with your favourite Inoar Shampoo. Rinse and towel dry. Apply shock treatment to hair. Massage and comb through. Wait 3 minutes and rinse. 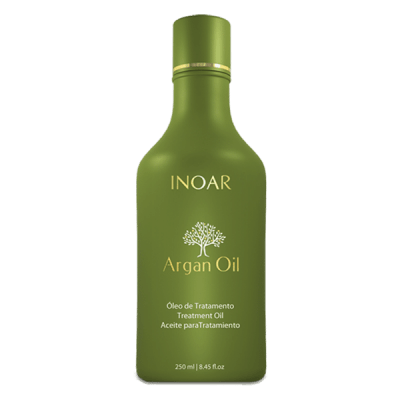 Argan Oil Eliminates Frizz And Provides Thermal Protection. Inoar Argan Oil is an indispensable product to maintain your clients’ hair. It keeps hair beautiful and protects it against dry out. 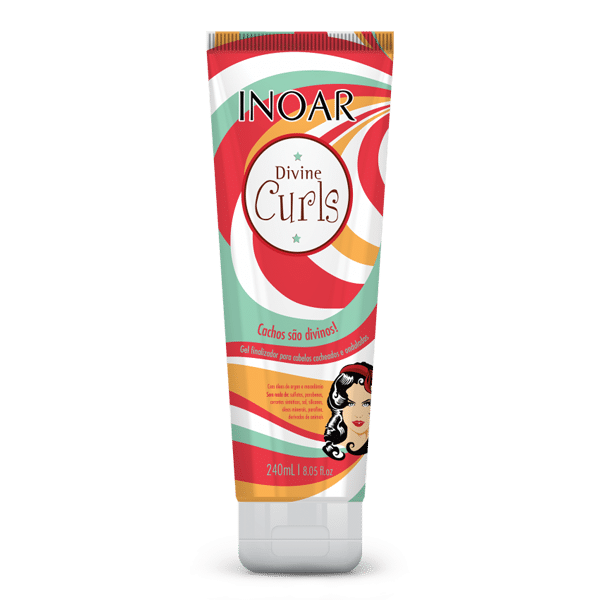 Its raw material is produced manually by sustainable collective organizations formed by Moroccan women who for centuries have used the oil to keep hair hydrated and protected against weather and other daily harmful agents. HYDRATION. 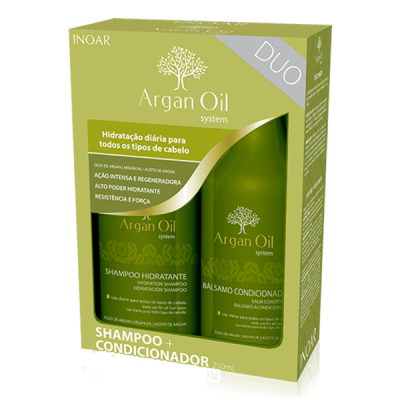 • The secret to ultra-silky hair – Argan Oil Home Care is a powerful maintenance line, designed to smooth and condition hair strands, bringing long-lasting hydration. • Argan oil is famous for the fact that the molecules are small enough to penetrate the hair shaft. 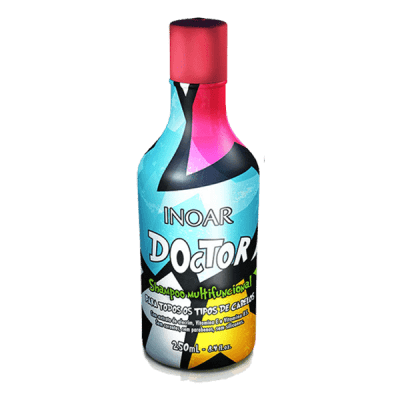 • Considered a natural and exceptional anti-ager. 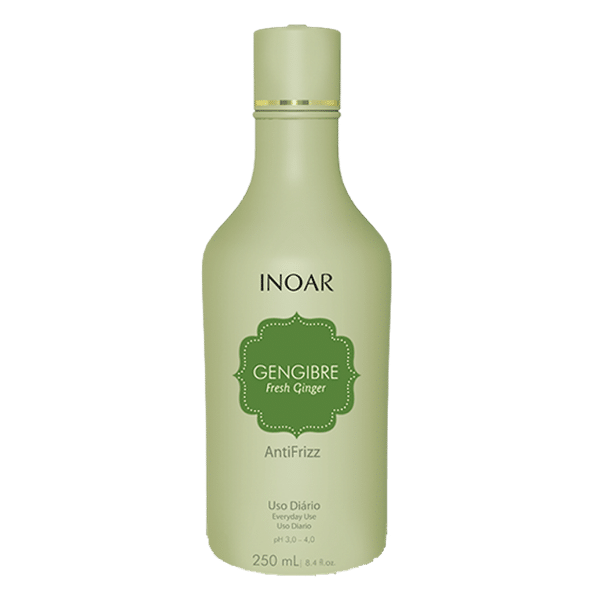 • Recommended for dried out, dehydrated and dull hair. The secret to ultra-silky hair – Argan Oil Home Care is a powerful maintenance line, designed to smooth and condition hair strands, bringing long-lasting hydration. Argan oil is famous for the fact that the molecules are small enough to penetrate the hair shaft. 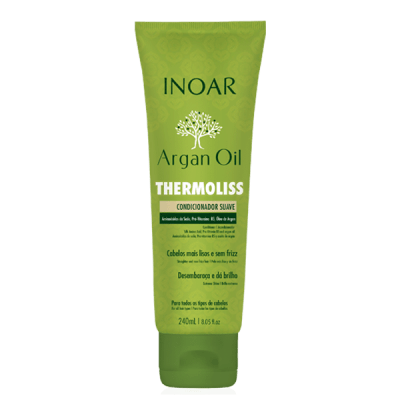 Eliminates frizz and provides thermal protection. 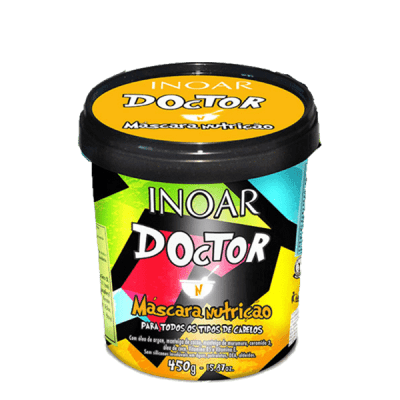 Considered a natural and exceptional anti-ager. Recommended for dried out, dehydrated and dull hair. Inoar Argon Oil smooths hair and prevents split ends. This is a non-oil hair oil that acts as a moisturizer. The hair absorbs the oil, keeping it healthy and shiny. Dull dry and damaged hair? Then this Haircare range is just for you! 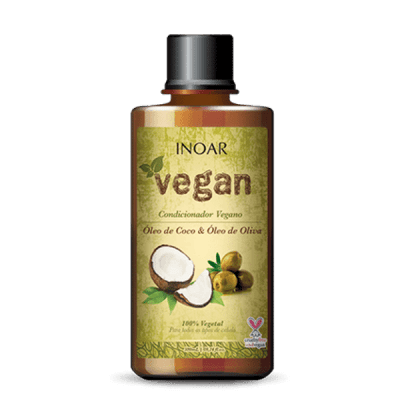 The Vegan oil consists of 5 of the best oils for hair, as well as for skin. Recovering broken, damaged, chemical treated hair. With the combination of Water (Aqua) (and) Hydrolyzed Corn Starch (and) Beta Vulgaris (Beet) Root Extract also known as DayMoist CLR™, this little bottle has the key to healthy beautiful hair. You can use it on its own or mix it with a Hair Mask. It conditions & moisturises the hair, makes it more elastic, and protects hair against heat and color fade. Add some HELP to your Hair care routine and have irresistible hair that you can be proud of. 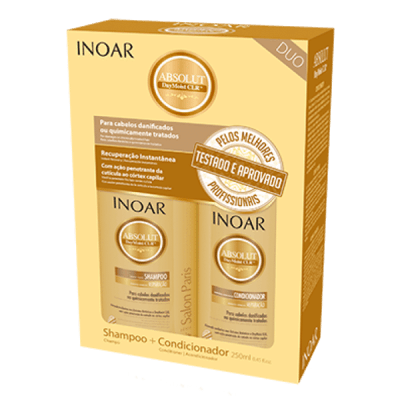 Low Poo Shampoo, a product without cumulative/harmful chemical ingredients, that causes build up on hair. 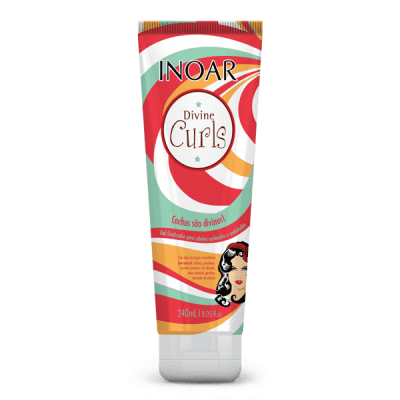 This Is An Amazing Finishing Gel For Curls. 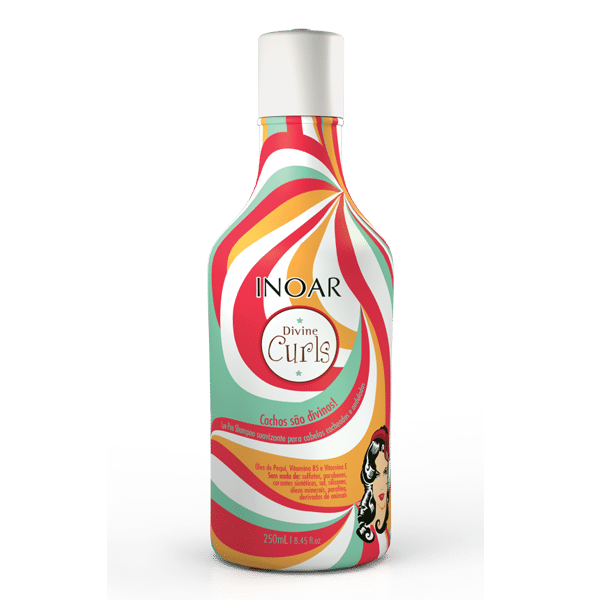 Gives Definition And Frizz Free Curls. Best part is – It’s Water Based! So no more sticky hair. 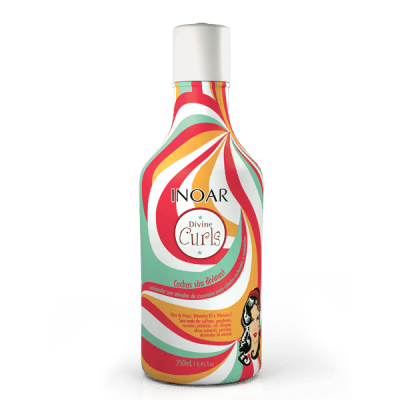 It absorbs immediately, leaving the hair frizz free and full of natural curls. Leave it to dry naturally or with a diffuser. This amazing gel can also be used to give amazing volume when blow-drying the hair. Simply apply the gel to the roots, before blow-drying. Once heat is applied, you will have amazing volume. 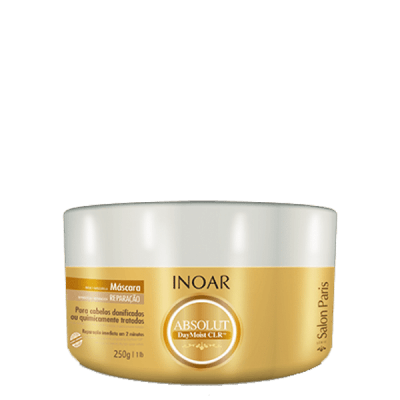 Intense Moisturising Mask For Curls And Fine Hair. Leaving Hair, Soft, Frizz Free And Full Of Bounce. Leave on for 20 minutes after washing the hair with Divine Curls Shampoo. Everything You Need For A Hair Treatment! 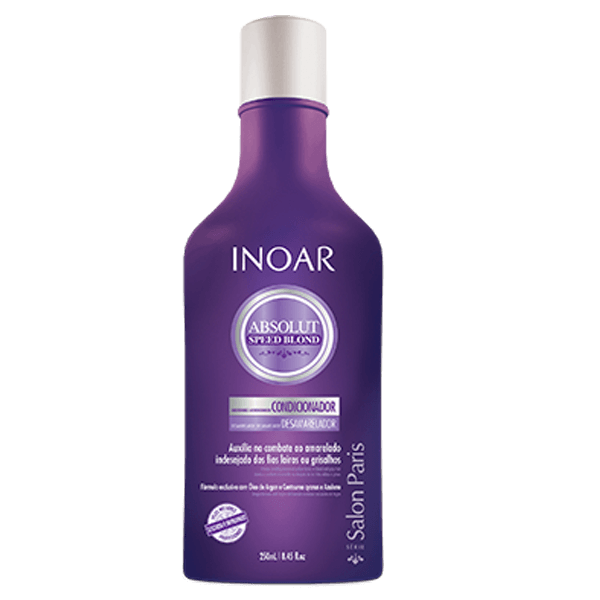 All In One – Conditioner; Leave-in Conditioner & Treatment Mask. A combination of 7 oils in a shampoo, mask, and oil, with multi-functional formulas that hydrate, nourish, repair and have antioxidant, smoothing, protecting and soothing effects with a light touch of a mild and exclusive fragrance. BB Cream stands for “Beauty Balm’ and is a product that treats, moisturize, and restore hair naturally.  High percentages of natural emollients such as Sunflower, Sesame, Linseed, olive and Macadamia, the products act immediately. Rich in Omegas plus completely sulphate free! It Hydrates And Extends The Sensation Of Lightness. Extremely Soothing For Problem Scalps. 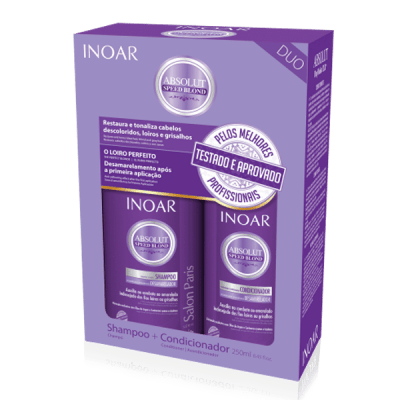 A Shampoo, Leave-In And Anti-Frizz Treatment. 250ml Bottles. Irresistible new product for our clients. You will LOVE it! Hydrates and extends the sensation of lightness. Extremely soothing for problem scalps. Delicious rejuvenating bath, based on ginger having a deep astringent action. Recommended for dry/oily scalp. Fresh & Revitalising range. Magazine-Worthy Hair Done At Home! Line released for Low Poo, No Poo, and Co-Wash methods. EVERYDAY USE. ALL TYPES OF HAIR.  Vegetable Keratin – Keratin is a protein composed of 18 amino acids. 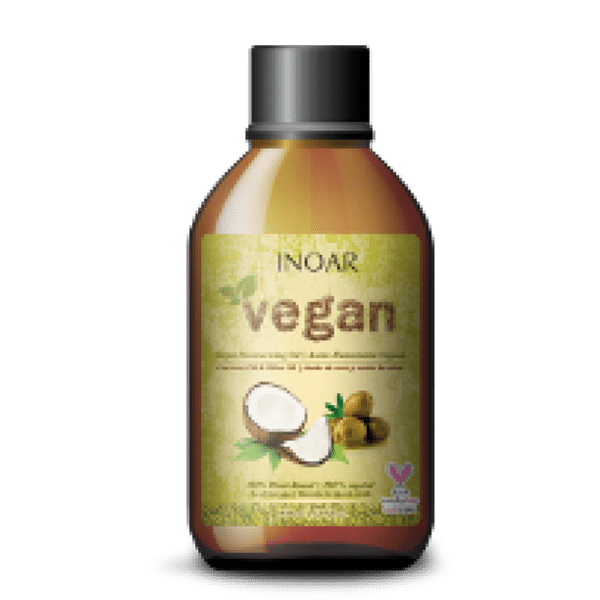 Coconut oil – Promotes Hair Growth. Prevents Hair Loss. Promotes healthy scalp. Prevents hair breakage. Moisturises the hair. No sulfates or parabens. Line released for Low Poo, No Poo, and Co-Wash methods. Everything You Need For Your Hair, Face And Body, In One Multi-Purpose Line. Kálice is a premium, multifunctional product by Inoar with Vitamin E and seven precious vegetable oils for the hair, body, and face: argan, myrrh, macadamia, ojon, sweet almonds, jasmine, and rosemary. This special combination is moisturizing, nourishing, restorative, antioxidative, protective, and emollient, with a light touch. 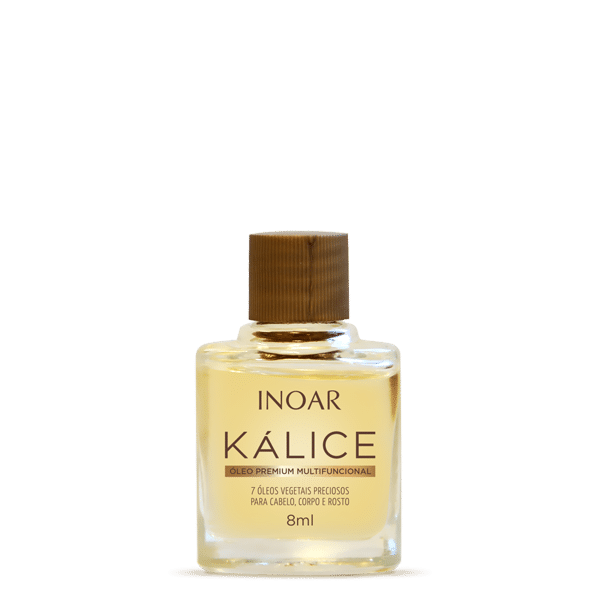 With just one step, Kálice is deeply penetrating, moisturizing hair and skin without weighing down and leaving a gentle, unique scent. 7 Precious vegetable oils for hair, face and body. 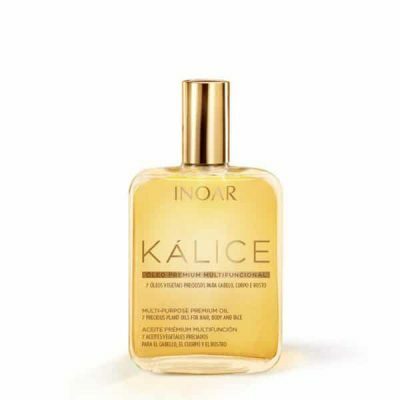 Kálice is a premium multifunctional product with vitamin E and 7 precious vegetable oils for hair, body and face: argan, myrrh, macadamia, ojon, sweet almonds, jasmine and rosemary. It is a special combination is moisturizing, nourishing, restorative, antioxidant, softening, protective and emollient, with light touch. 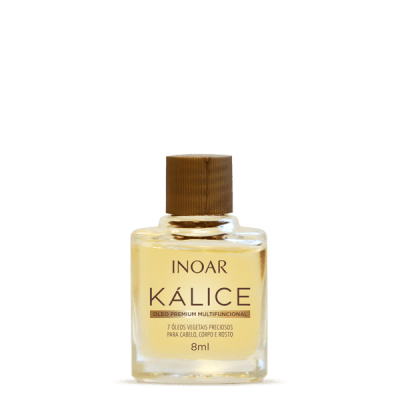 In one step, Kálice penetrates deeply, moisturizing hair and skin with a mild and exclusive aroma. Kálice is a premium multifunctional product with vitamin E and 7 precious vegetable oils for hair, body, and face: Argan, Myrrh, Macadamia, Ojon, Sweet almonds, Jasmine and Rosemary. It is a special combination is moisturizing, nourishing, restorative, antioxidant, softening, protective and emollient, with light touch. 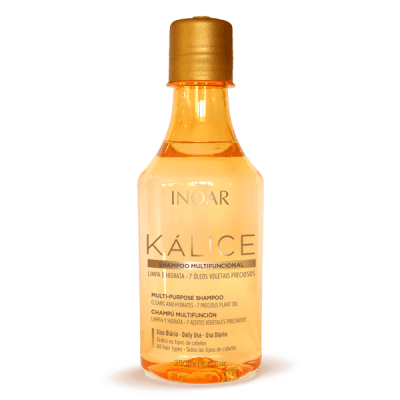 In one step, Kálice penetrates deeply, moisturizing hair and skin with a mild and exclusive aroma. This Multi-functional is for Hair, Body & Face! Vegetable oils of Argan, Myrrh, Macadamia, Ojon, Sweet almonds, Jasmine and Rosemary. Put the oil in your hands and spread it all over your hair or at the ends. It can also be added to your shampoo, conditioner or mask treatment. Apply throughout the body by massaging, especially on the drier areas. Put a drop on your hands and apply it alone, or with your moisturiser on daily basis. You can even use it as a moisturising Make-up remover. Just apply a drop to your cleanser or to cotton wool and wipe your face. Clean and moisturised! 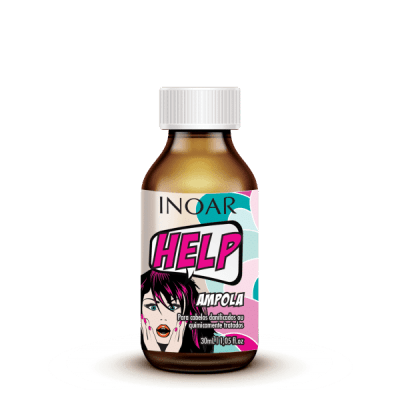 Damaged, Dull And Dehydrated Hair?? We Call Him Doctor! Like our bodies needs Nutrition to stay healthy and fit, so does our hair! INOAR Doctor to the rescue!! Packed with Argan oil, Coconut oil, Macadamia oil; Wheat germ butter; Cocoa butter; Murumuru butter; Vit B5; Vit E; Ceramide 3. These ingredients are vital for restoration and enables lipids to act on the hair strands replacing their energy. Leaving you with soft, beautiful, shiny and healthy hair! Give your hair the nutrition it deserves. Promotes Hair Growth. Reduces hair loss. Perfect for maintenance of hair. THE SECRET TO ULTRA-SILKY HAIR – ARGAN OIL HOME CARE IS A POWERFUL MAINTENANCE LINE, DESIGNED TO SMOOTH AND CONDITION HAIR STRANDS, BRINGING LONG LASTING REHYDRATION. 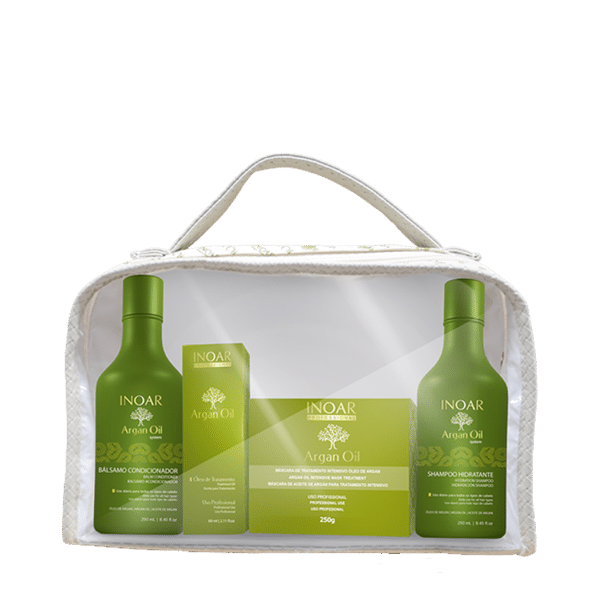 The secret to ultra-silky hair – Argan Oil Home Care is a powerful maintenance line, designed to smooth and condition hair strands, bringing long lasting hydration. 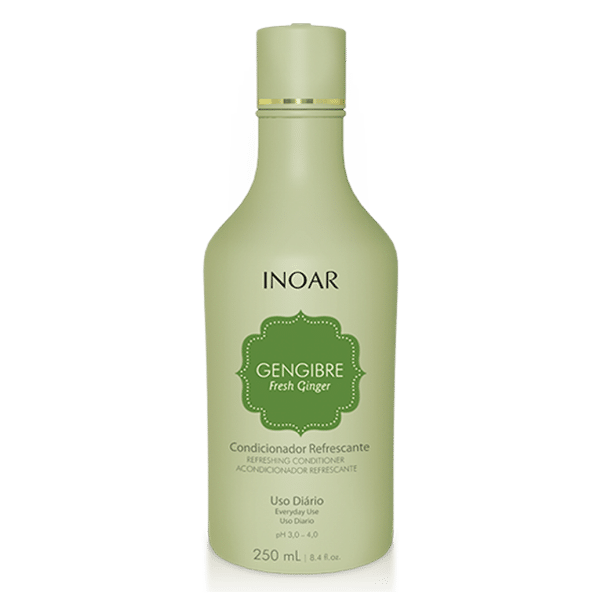 Recommended for dried out, de-hydrated and dull hair. 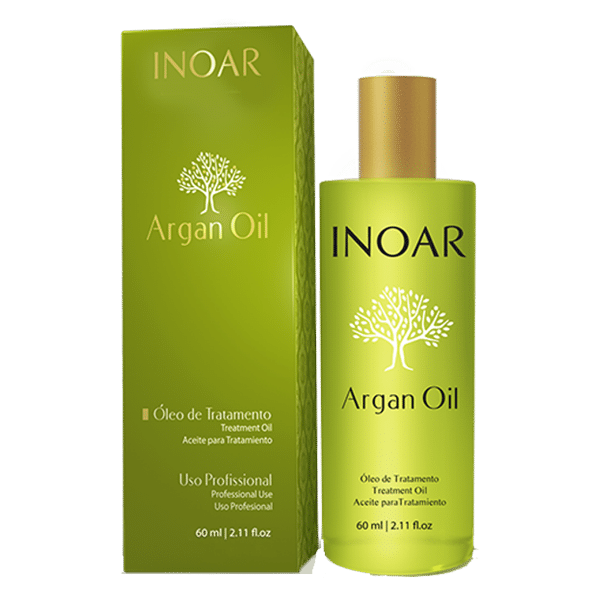 Absolute Hit in beauty salons, INOAR Argan Oil treatment brings the world famous Moroccan gold to enhance the professional practice even further. 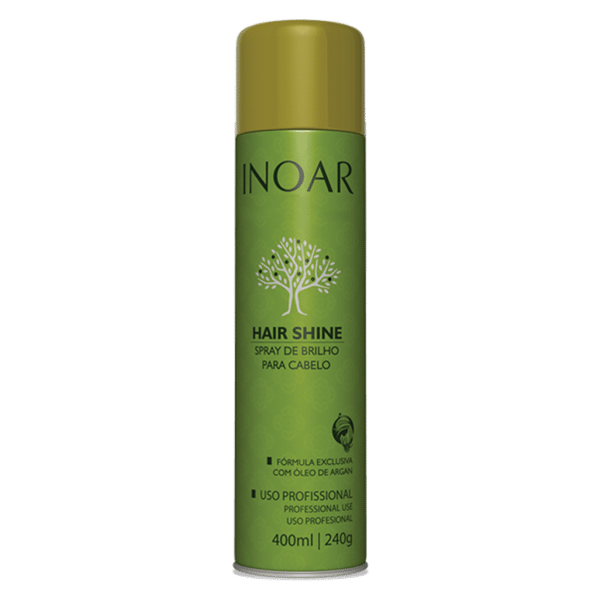 Its formula, rich in antioxidants promotes incomparable protection to the hair, increasing shine and reducing frizz, for magnificent and hydrated hair. 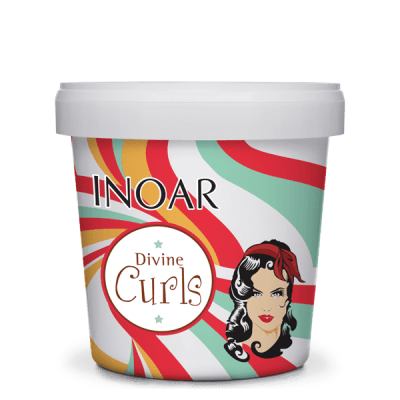 Its versatility allows you to associate its benefits to a wide range of hair treatments, providing high-quality results. 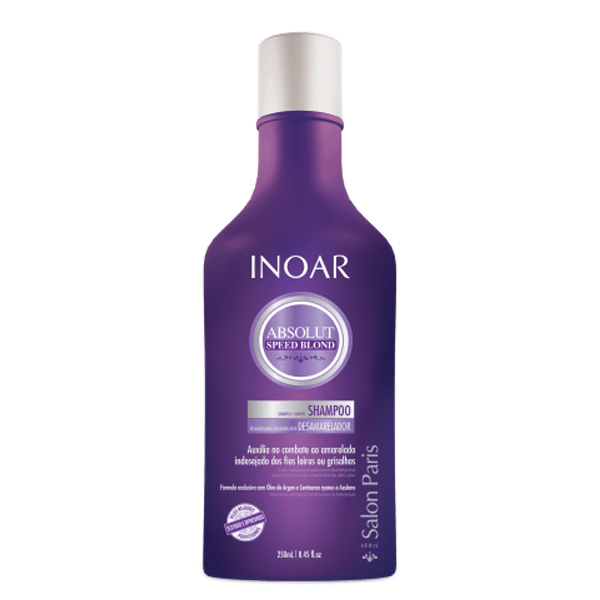 Healthy hair with one product! Speed Blond Shampoo and Conditioner is a basin kit for blond or grey hair. It acts progressively in toning the hair. 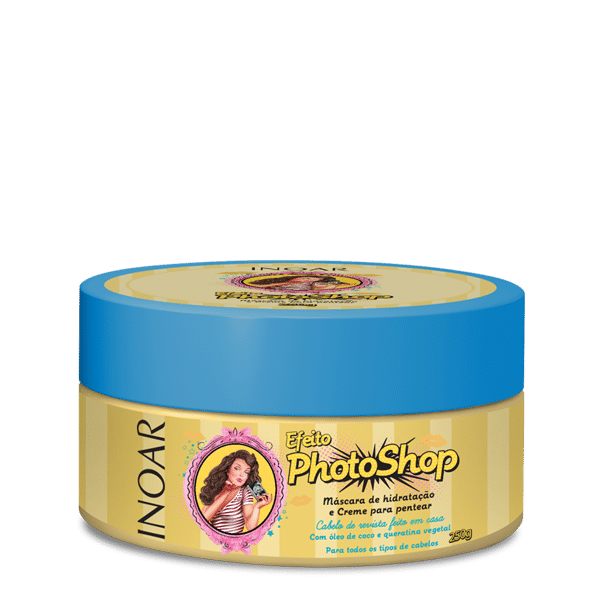 It instantly corrects the yellow tone in blond/highlighted hair. Infused with active antioxidants and ARGAN OIL, this product has a balanced pH. Avoids discoloration; offering intense shine, flexibility, and softness to hair. Can be done twice a week. 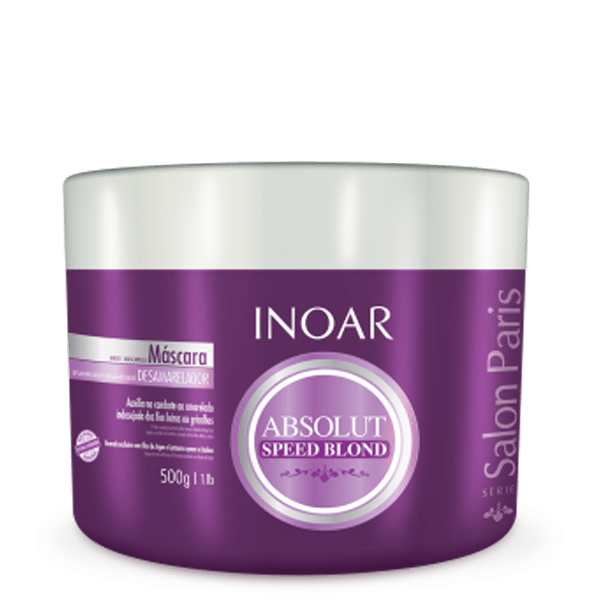 Speed Blond Shampoo and Conditioner is a basin kit for blond or grey hair. It acts progressively in toning the hair. It instantly corrects the yellow tone in blond/highlighted hair. Infused with active antioxidants and ARGAN OIL, this product has a balanced pH. Avoids discoloration; offering intense shine, flexibility and softness to hair. INSTANT TONE AND CONDITION CORRECTOR. Speed Blond Mask. It acts progressively in toning the hair. It instantly corrects the yellow tone in blond/highlighted hair. Infused with active antioxidants and ARGAN OIL, this product has a balanced pH. 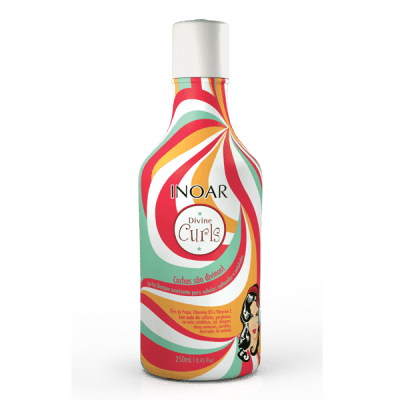 Avoids discoloration; offering intense shine, flexibility and softness to hair. Directions: Wash hair with Flowers shampoo. Rinse. Towel dry hair and apply the Flowers conditioner. Leave for 5 – 10 minutes and rinse. Leaving hair light and fresh. 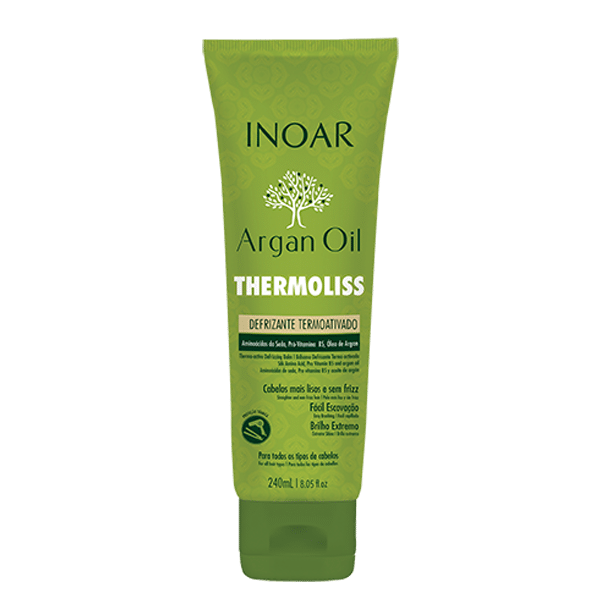 Ideal for frizzy, wavy or unmanageable hair, the NEW chemical-free Thermoliss Shampoo, Conditioner and De-Frizzing Balm are uniquely formulated with amino acids, pro-vitamin B5 and Argan Oil to enhance shine, detangle, moisturize and protect hair from heat styling for longer-lasting blowouts. Each lightweight formula is rich in Argan Oil to hydrate, deep condition and restores strands back to their original healthy state without weighing hair down. The Thermoliss line has special chemical-free ingredients that work to make hair increasingly straight. 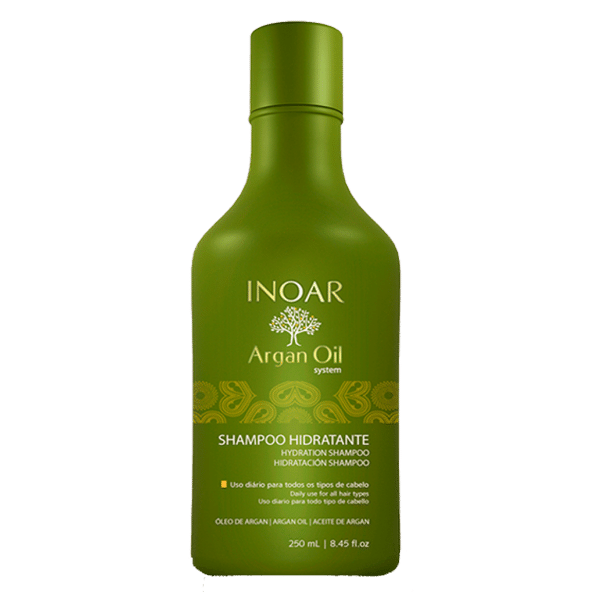 With Inoar’s Argan Oil, known for its anti-frizz effect, frequent use guarantees hair with intense shine and progressive and visible results. 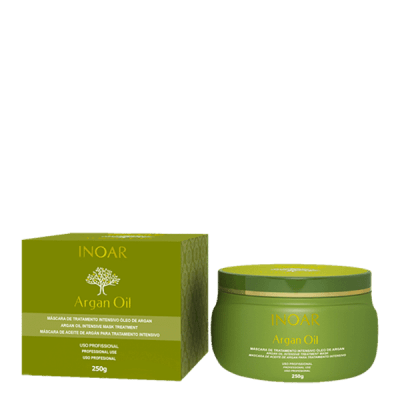 Argan Oil eliminates frizz and provides thermal protection. 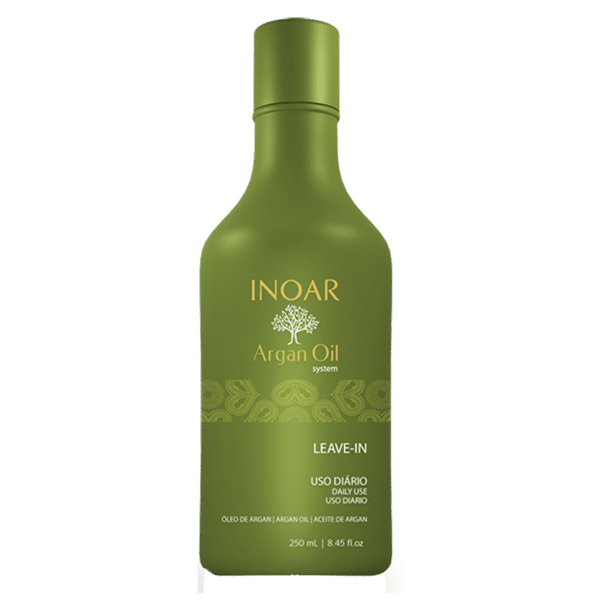 Inoar Argan Oil is an indispensable product to maintain your clients’ hair. 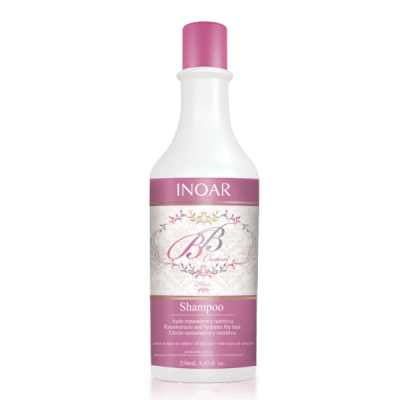 It keeps hair beautiful and protects it against dry out. 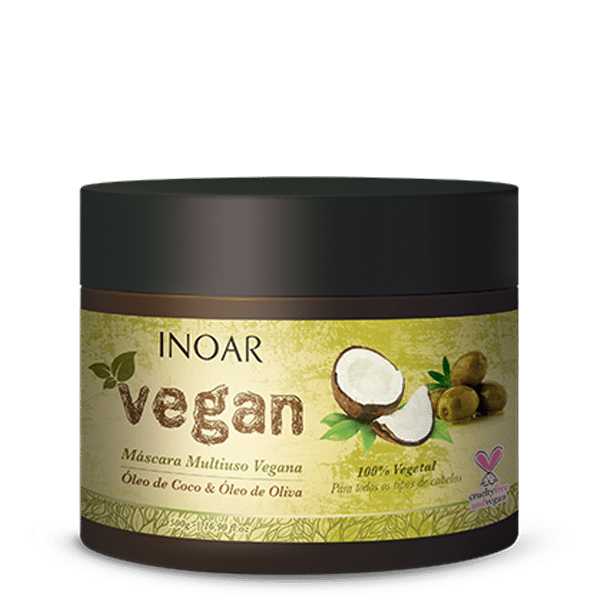 Its raw material is produced manually by sustainable collective organizations formed by Moroccan women who for centuries have used the oil to keep hair hydrated and protected against weather and other daily harmful agents. HYDRATION. INOAR ARGAN OIL SMOOTHS HAIR AND PREVENTS SPLIT ENDS. THIS IS A NON-OILY HAIR OIL THAT ACTS AS A MOISTURIZER. THE HAIR ABSORBS THE OIL, KEEPING IT HEALTHY AND SHINY. Argan oil, Coconut oil, Olive oil, Macadamia oil, Sweet almond oil. 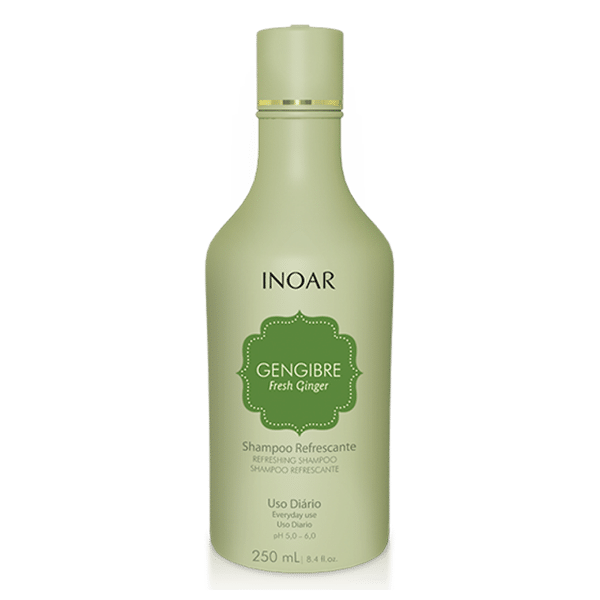 This Multi-functional oil is for Hair, Face & body! INOAR BB Cream range! BB Cream stands for “Beauty Balm’ and is a product that treat, moisturize, and restore hair naturally. 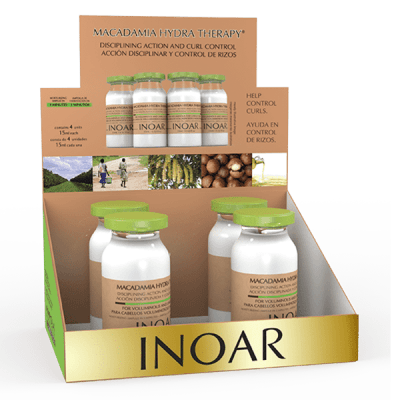 High percentages of natural emolients such as Sunflower, Sesame, Linseed, olive and Macadamia, the products act immediately. Rich in Omegas plus completely SALT Free! BB Cream stands for “Beauty Balm’ and is a product that treat, moisturize, and restore hair naturally. High percentages of natural emolients such as Sunflower, Sesame, Linseed, olive and Macadamia, the products act immediately. Rich in Omegas plus completely sulphate free! 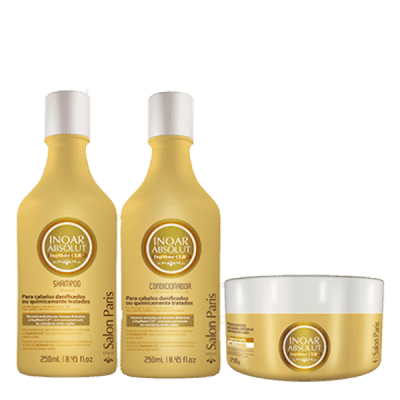 Speed Blond Shampoo and Conditioner is a basin kit for blond or grey hair. It acts progressively in toning the hair. 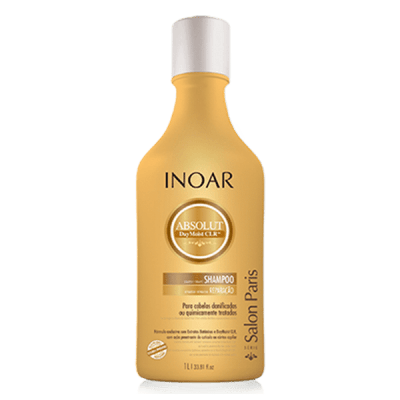 It instantly corrects the yellow tone in blond/highlighted hair. Infused with active antioxidants and ARGAN OIL, this product has a balanced pH. 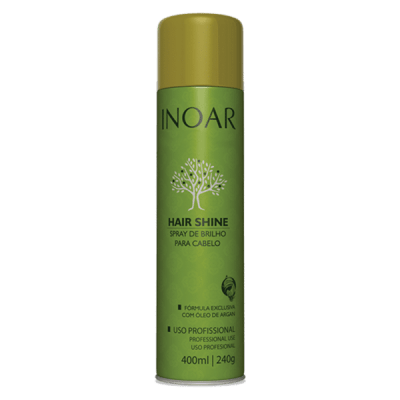 Avoids discoloration; offering intense shine, flexibility and softness to hair.